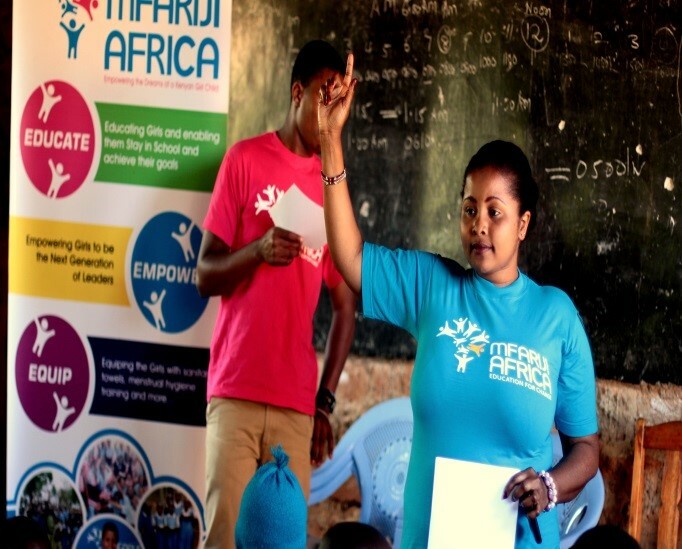 Mfariji Africa was founded in 2012 by a local young woman to improve the lives of Kenyan girls by helping them to stay in school and complete their education through mentoring, menstrual health and hygiene training and provision of sanitary towels. 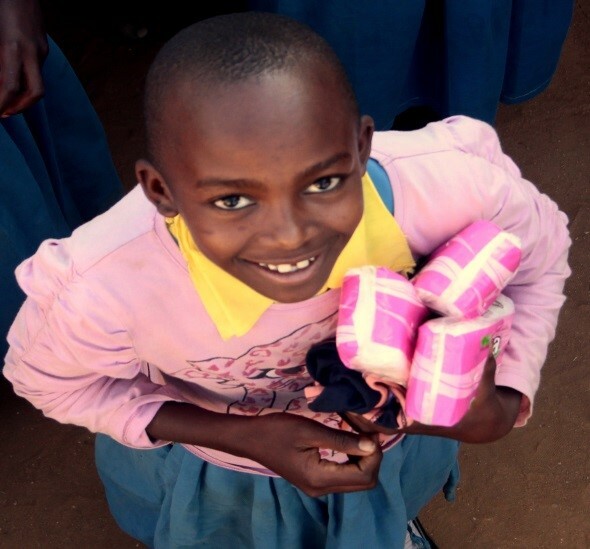 Mfariji Africa’s main programs include The Sanitary Sanity Campaign (SSC) and Mfariji Clubs. SSC provides sanitary materials to school-going girls from disadvantaged social and economic backgrounds to reduce absenteeism from school. Mfariji Clubs were created to establish continuity in schools in which Mfariji Africa already exists. Through the clubs we provide leadership training and mentorship programs throughout the year. Our vision is to grow the numbers of young Kenyan women entering adulthood equipped to become the next generation of leaders and change agents fostering transformation and a better quality of life for all. Empower teenage girls to embrace their growth spurt and psychological changes through reproductive health training and mentorship talks. To sustain disadvantaged teenage girls or those from poor social and economic background in school throughout the month by provision of sanitary towel without having to lose days off school during menstrual flow. Eliminate through informing, the myths, taboos and misinformation that communities have about girls during their menstrual period. To support the development of girls and women on different issues affecting women’s lives such as poverty, education, and entrepreneurship.